An overview of the village of Haska. Photo EAPPI/T. Fjeldmann. Do you remember the three Israeli teenagers that were kidnapped and killed in June? The world has turned its attention to Gaza, so what might now be forgotten is that the current outbreak of conflict started from the three Israeli boys who disappeared and were later found dead near the Palestinian city of Hebron in the West Bank. In the search for the three teenagers, the Israeli army blockaded the city of Hebron, and turned the nearby village of Haska upside down. Many international organizations called on the Government of Israel to refrain from using collective punishment in “Operation Brother’s Keeper”, as homes, universities and charitable organizations were raided throughout the West Bank and over 700 Palestinians arrested, most of whom were not connected to the disappearance of the Israeli teenagers. We visited the village of Haska to hear their accounts of what happened this June. They beat my seven-year-old son up in order to get information from him. Now he wets his bed at night, which he never used to do before. 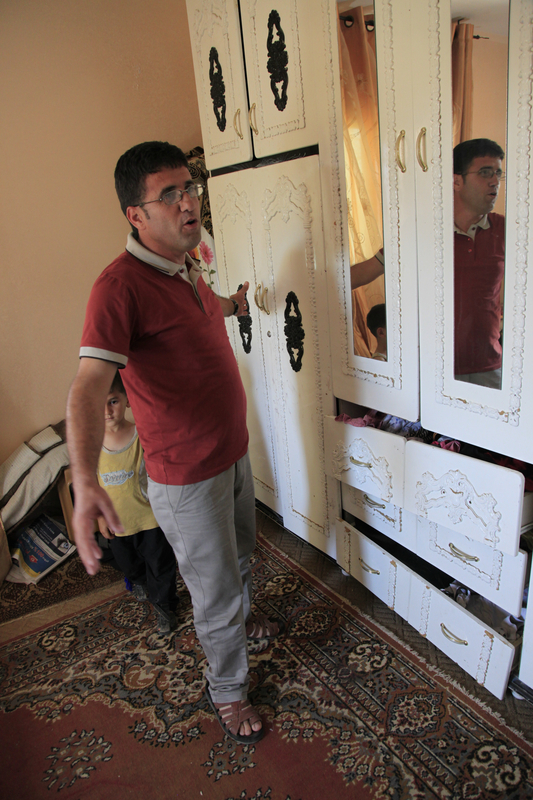 Mustafa Allan shows the results of the raids in his house. Photo EAPPI/T. Fjeldmann. The common understanding in the village is that the Israeli government knew that the three boys were dead from the beginning. This understanding stems from reports that surfaced that the Israeli army had evidence of their death from the day of their disappearance and that parts of the operation were planned before the disappearence. The villagers see the operation in Haska as a form of collective punishment, and the alleged kidnapping as a false justification to start an operation against Gaza. They even blamed my twelve-year-old son Muhammed for being the kidnapper. Looking at this shy little boy with big eyes and thick glasses, no one in his right mind could ever take him for a kidnapper. Apparently another young boy in the village had told the soldiers that Muhammed had seen the car of the kidnappers. According to some theories, the kidnappers had stopped in Haska for 40 minutes. As a result, the Allan family was specifically targeted during the searches. Mustafa Allen showed EAs around his house, pointing at broken mirrors, cupboards and windows – and where once there was a bed, only rubble is left. The soldiers also destroyed their computer, apparently for no reason since they weren’t interested in any of the information stored on it. They also took my 14-year old son away in their army vehicle and interrogated him. He used to be so open and social, but now he mostly keeps to himself. 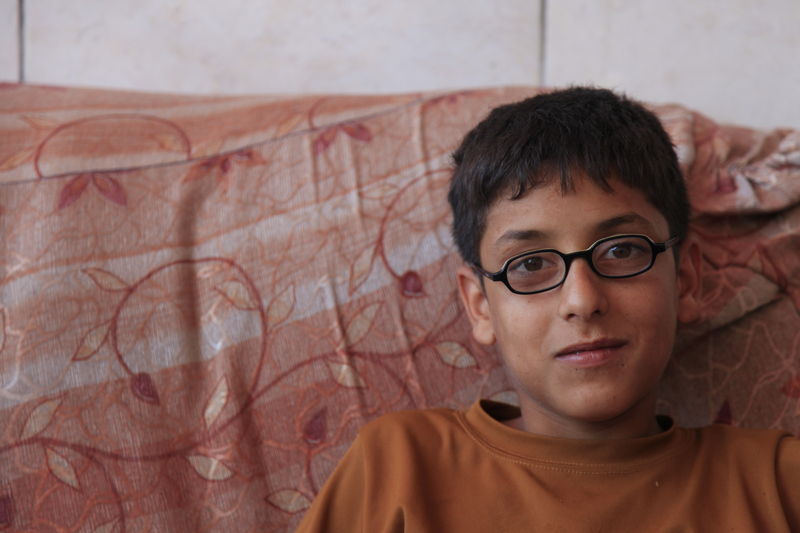 Muhammad, Mustafa’s 12 year old son. Photo EAPPI/T. Fjeldmann. The army also targeted the irrigation system and emptied water cisterns “looking for bodies”. The soldiers put chemicals into the cisterns, saying that it would react with any human remains in the water. This meant that some families were unable to drink their water for a whole week, as it was polluted with the chemicals. 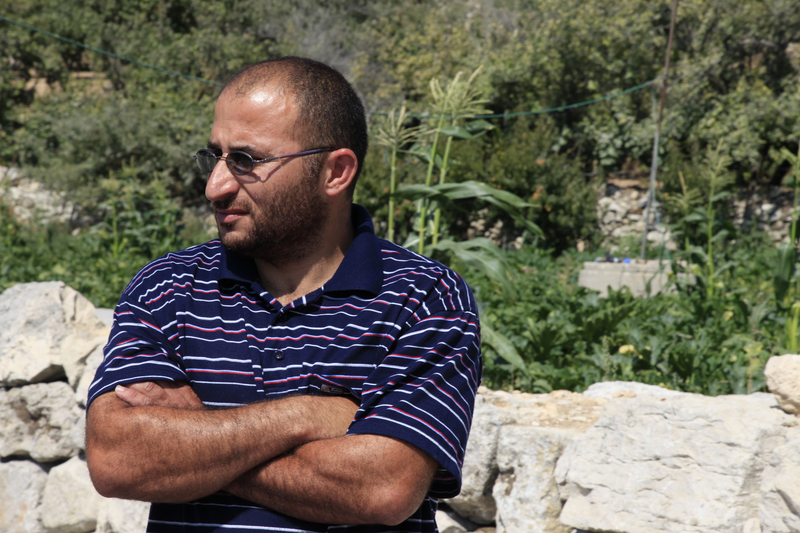 In the neighbouring house, the farmer Jihad Abu Saymeh tells a similar story. He too was beaten up by the soldiers, ending up in hospital due to the wounds. They took me to my green house and made me watch when they destroyed my crops. I couldn’t give them any information since I didn’t have any. Jihad Abu Saymeh. Photo EAPPI/T. Fjeldmann. Jihad Abu Saymeh suspects that the whole operation was merely a military training, as a new troop of soldiers would enter the house as soon as the previous soldiers had left. Saymeh tells the EAs that he didn’t dare to leave his family alone during the 18 days that the searches went on. The soldiers could come several times a day. They tore everything down and made a huge mess. They even told us not to clean it up since they were coming back. 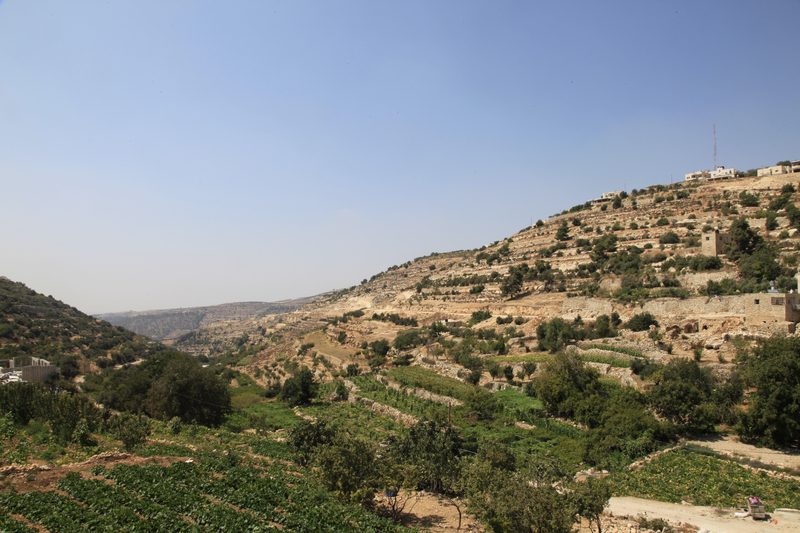 The operation only finished after the bodies of the three Israeli teenagers finally were found – 60 kilometres away from Haska. For the Allan family, this came in the very last minute, as the army was going to demolish their house. The soldiers had just ordered them to leave their home within two hours, but Mustafa Allan refused. I told them we’ve lived here for seventeen years, so if they wanted to demolish our home we would go down with it. Regardless of how traumatic the operation has been for the villagers, they see their suffering as small in comparison to elsewhere. What we have gone through here is nothing compared to what the people in Gaza have experienced.